September 16, 1988! It’s a GIRL!!!!! My baby girl is now a senior in college (WHAT??? ), but when she comes home for break we will celebrate with lunch in the kitchen, just for the four of us. Oops, that should be me, not Nellie for the fourth. Luckily, I collect “Charlotte” dishes of any kind, and this will be the perfect time to use some for my own little Charlotte. As a little miss, she decided that her last name was not Green, but Blue. Charlotte Blue. 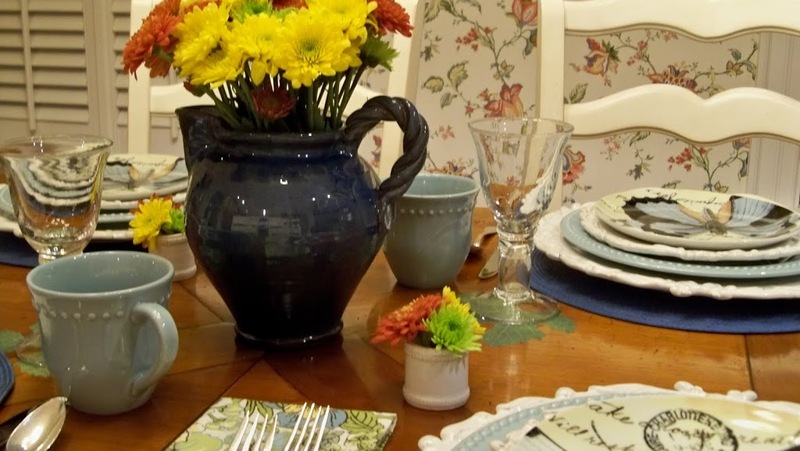 These blue accents go well with the Charlotte dishes! 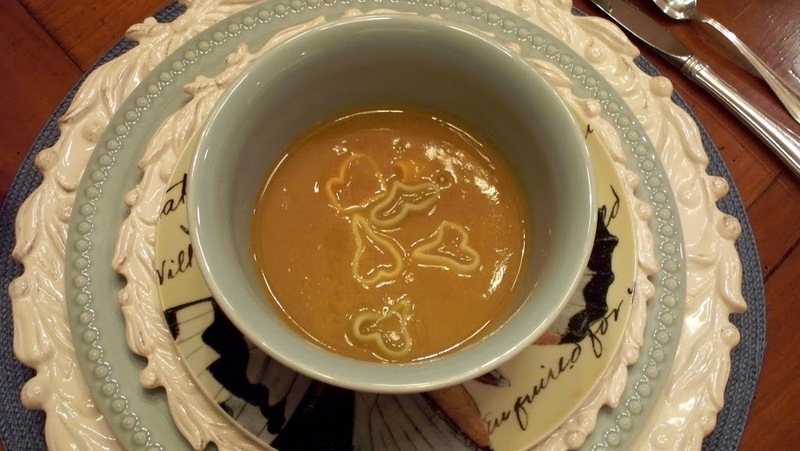 We’ll start with butternut squash soup and add a little extra love with heart shaped pasta. 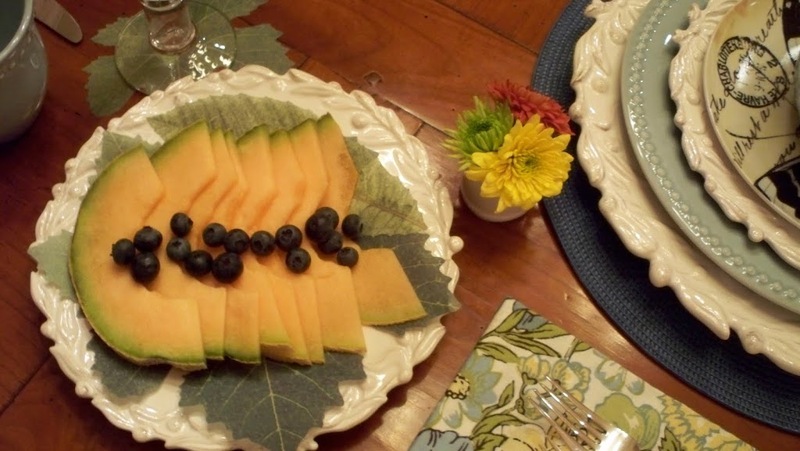 Fresh melon and berries are served with Charlotte’s childhood silver. The little lady liked to use it at every meal. Pretty French paper leaves line the berry plates and act as coasters under the glasses. 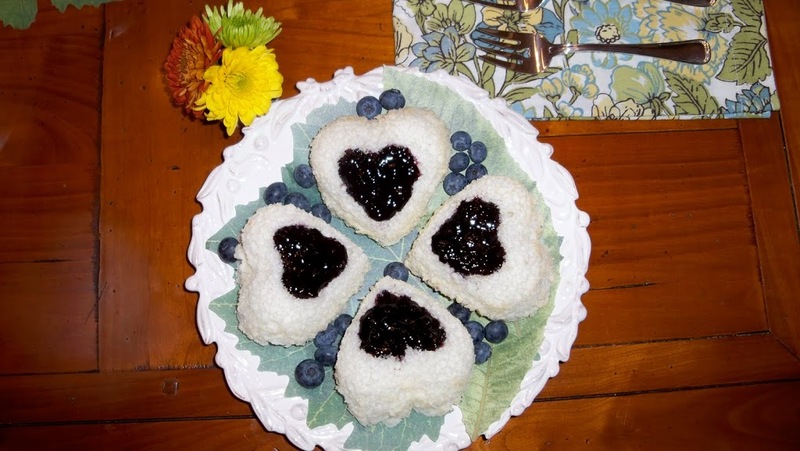 After the main course (we’ll let the birthday girl decide) angel food cupcakes with berry jam will finish our meal. But first there will be singing and candles. Make a wish and dream big. Hurry home, little wonder girl. We miss you. What a sweet post! 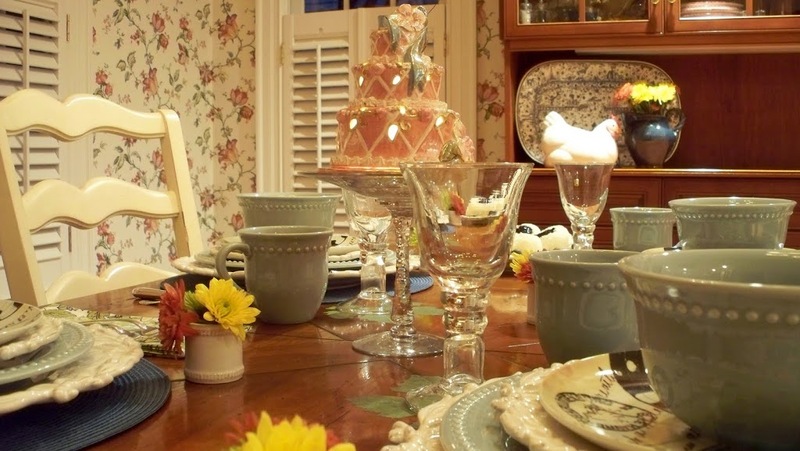 The birthday dinner table is beautifully set — I love the way you’ve layered the dishes, and the mums and mini pumpkins add seasonal flair. 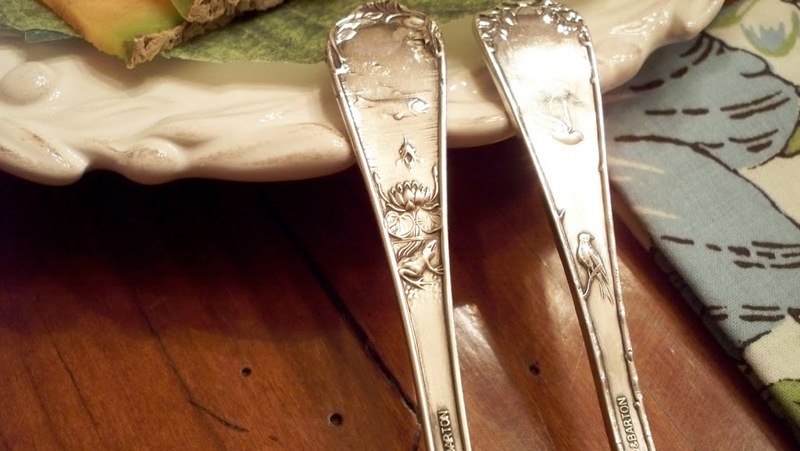 What darling children’s silverware! The menu sounds yummy, too. Beautiful post. Your table setting and dishes are so lovely. So is your family! p.s. love the plantation style shutters….those are really pretty. Beautiful table and I hope your daughter gets home for her Birthday dinner soon! Love those butterfly plates. What a pretty table! I love the butterfly plates and your stemware. Have a wonderful time with your daughter. Oh, I want to wish a very Happy Birthday to your beautiful Charlotte Blue! 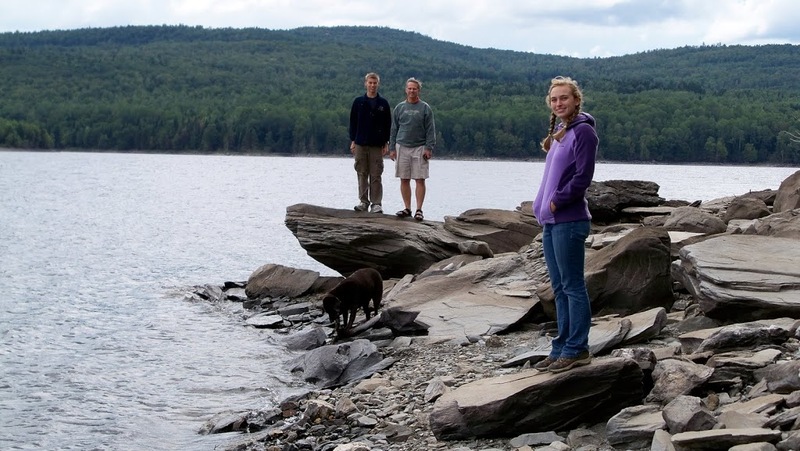 I’m thinking of the words to that song – turn around and they’re tiny, turn around and they’re grown. Turn around, she’s a young one going off on her own. Oh, I just may cry! Now your table is absolutely beautiful. 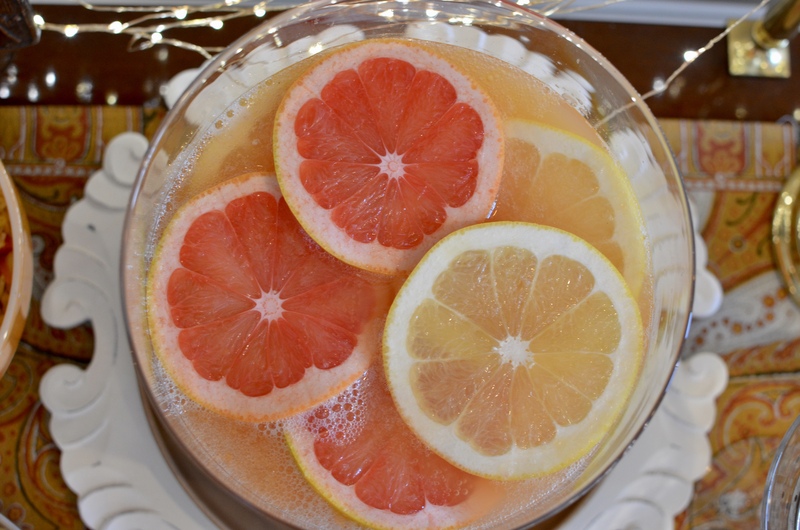 I love your pretty dishes and you’ve thought of everything for your table! I’ve just become your latest follower! 🙂 Yay! Happy Birthday to your very pretty daughter! And your table Linda is just so gorgeous! I love those blues and butterfly’s! I got the biggest kick out of “Charlotte Blue”. That is such a little girl thing to do! 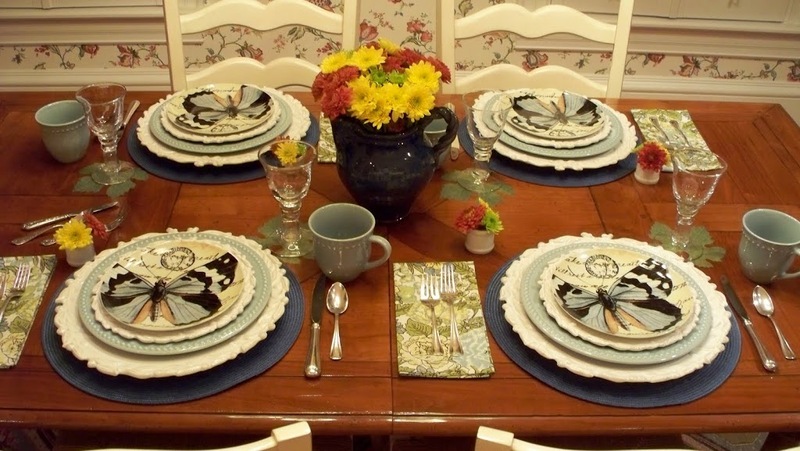 I really do love the Charlotte Blue table, too, especially those beautiful butterfly plates. My own daughter would LOVE them!! Those are such beautiful plates! What a lucky girl to have a mom like you that creates such a beautiful birthday dinner. You did not leave out one detail…it is perfect. Very fun. Ahh what a great Birthday setting for your daughter. Our youngest little surprise girl was born in 1985. Lovely photos!! What a touching tribute to your beautiful daughter. 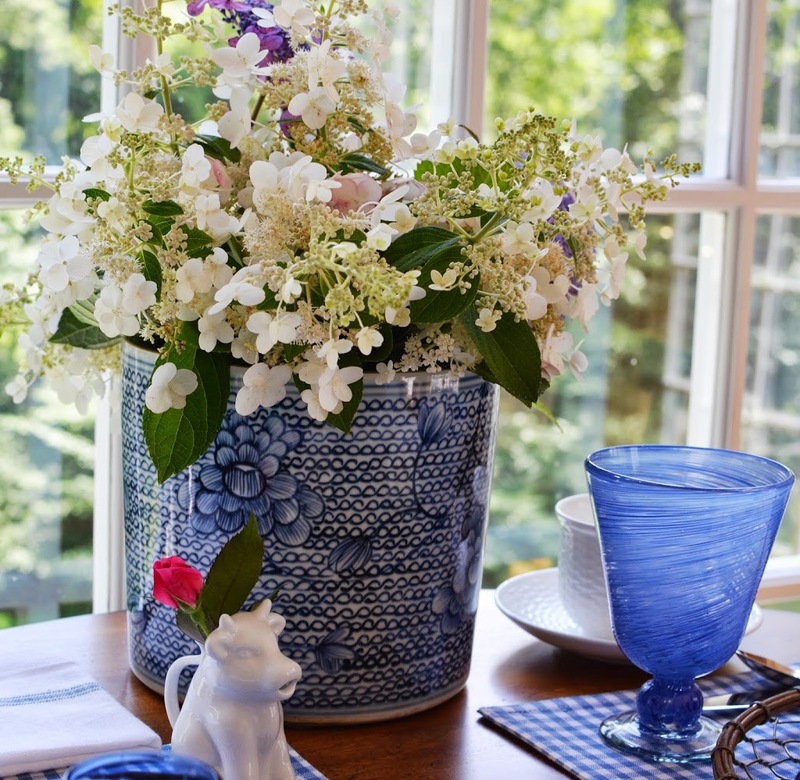 Every detail of this table is sheer delight. The silver flatware is my favorite. I’ve never seen this one. Does it have a name? What a wonderful birthday table. The butterflies are fantastic. I am also so enchanted with the silver. I can’t believe how quickly they grow. Happy Birthday to Charlotte. Darling table! AND THE FLATWARE! So nice to see you love on your daughter! Happy Birthday to you all! what a sweet post, its all darling! happy bday! love the silverware, do you know the pattern name? How sweet, those dishes are fabulous, and what fun to have her home!! Everything looks great..esp the cupcakes! I love your dishes and your sweet post…yes our kids grow up tooo fast!! My boys are grown now..one is away in Florida..miss him so much! 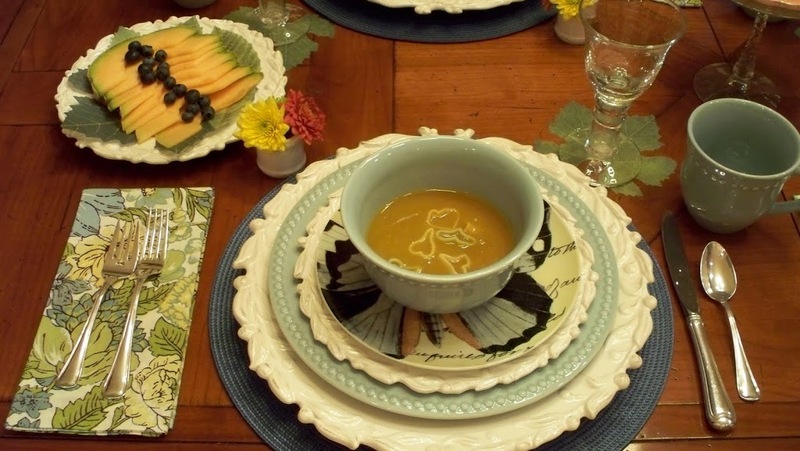 Your tablescape is so very pretty..love the layers of textured plates and the colors are beautiful! Great table!! Great table! Love the Charlotte butterfly plates. And was that 3 blind mice on the silverware? Very cute. Happy Birthday! 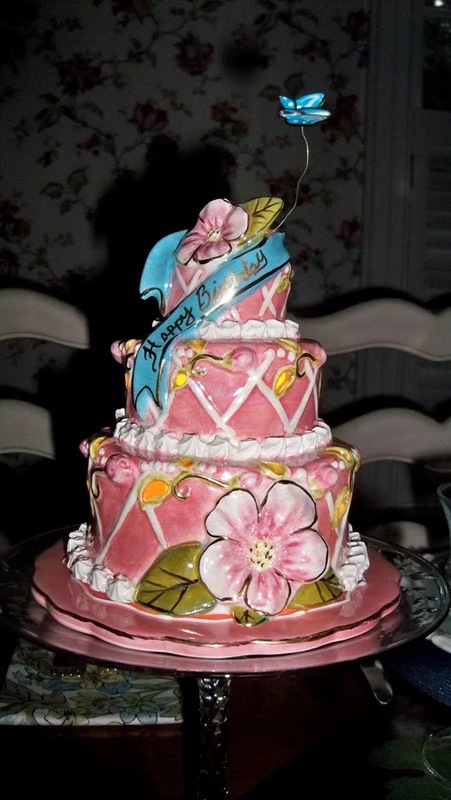 What a sweet post and so pretty as well…I hope she has a wonderful birthday!! What a lovely birthday table setting! I love the fact that you have collected china with the same name as your daughter. You have piqued my curiosity over the child’s silver. Did I read Reed & Barton on the handle? 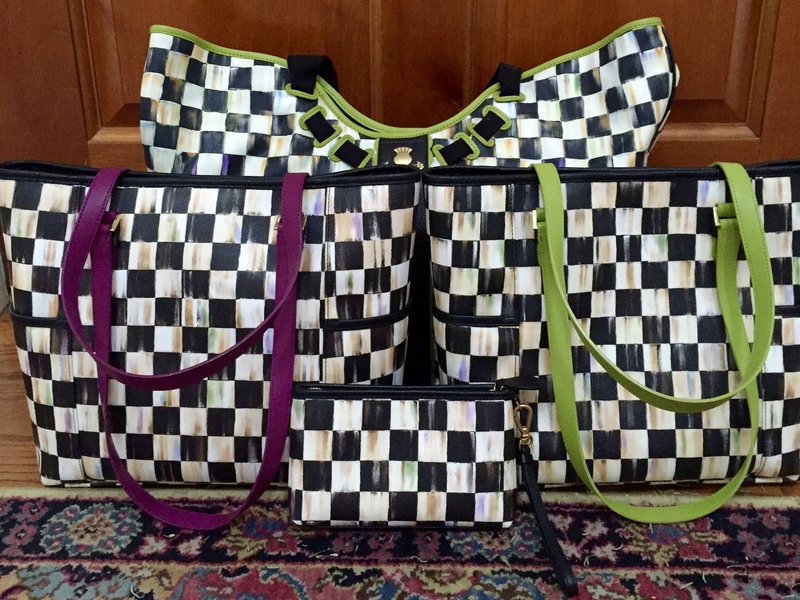 Would you share the pattern name with us? My daughter just celebrated her seventh birthday on the thirteenth (my TT post was on her birthday tea party); I know that it will seem like no time until we’re celebrating her 22nd birthday! 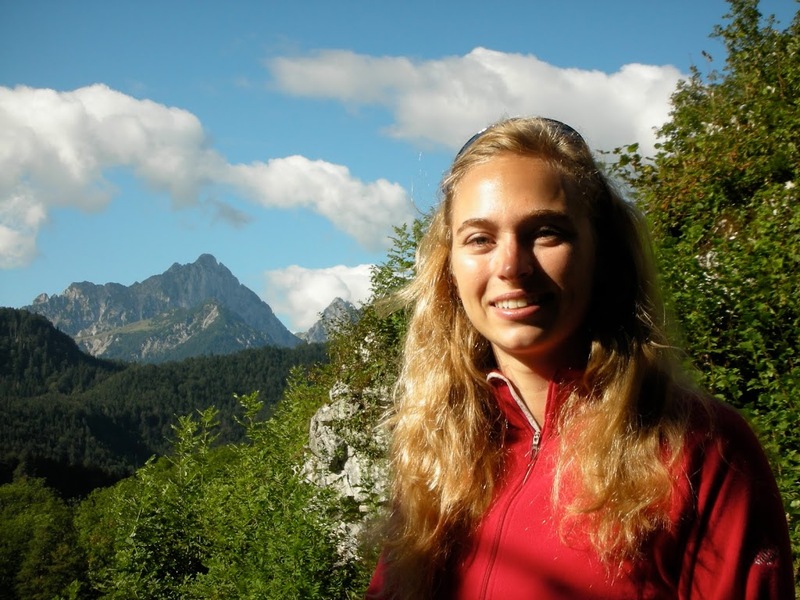 I hope that Charlotte has a wonderful day! Linda, such a lovely post with your beautiful daughter in your heart. Her birthday table is stunning. 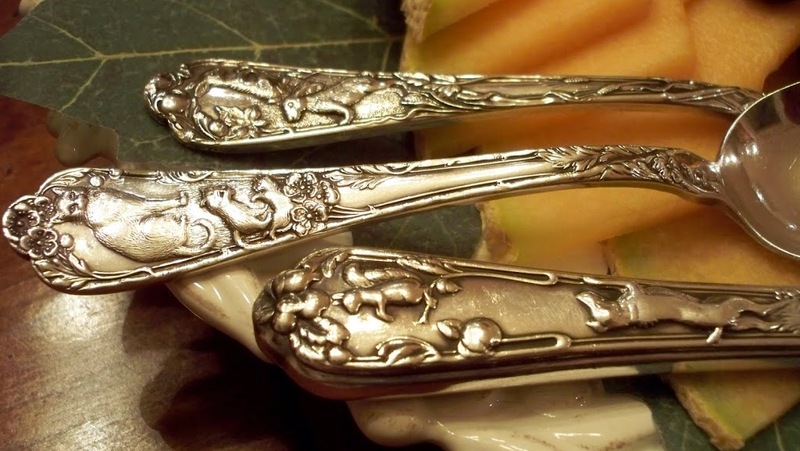 I love the silverware with the animals, especially the kitties. Such truth and wisdom. Our beautiful daughters going forth to be such lovely people. Bringing them home with a family dinner is heaven. That looks so pretty! Love the ♥ pasta in the butternut! Happy Birthday to your dd. She is lovely! I hope your college girl has a wonderful birthday. She certainly will have a pretty table to enjoy it. I really love your silverware, but what I really love the most is your wallpaper! I want to start using wallpaper again. I know what you mean about the prices of the tin doll houses. I was going to get one of those at first, but I’m so glad I found this one instead. Going to head over to the Monticello site, too. That is a gorgeous table! 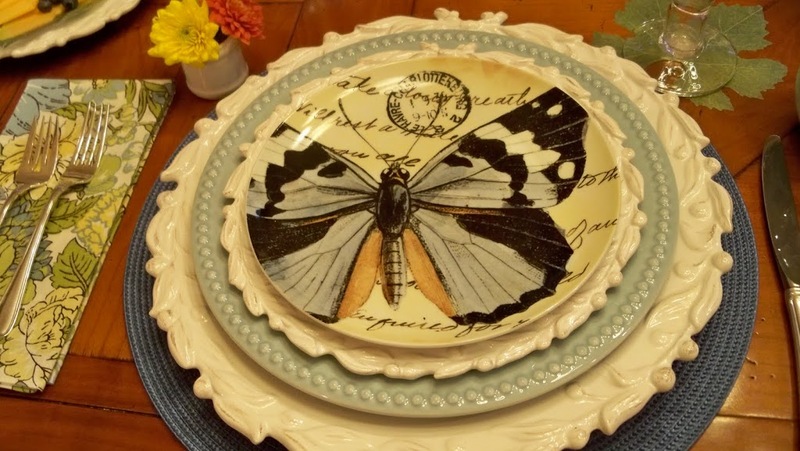 I love ALL the plates – the butterfly one is beautiful! Your table is lovely. I bet your daughter Charlotte was thoroughly overjoyed to know her Mother created a special table for her. Your details are wonderful. I love the layering, the flatware is special and especially the butterfly plates and heart shaped pasta. Gorgeous!! Love the Charlotte plates!! What a lovely Birthday table. 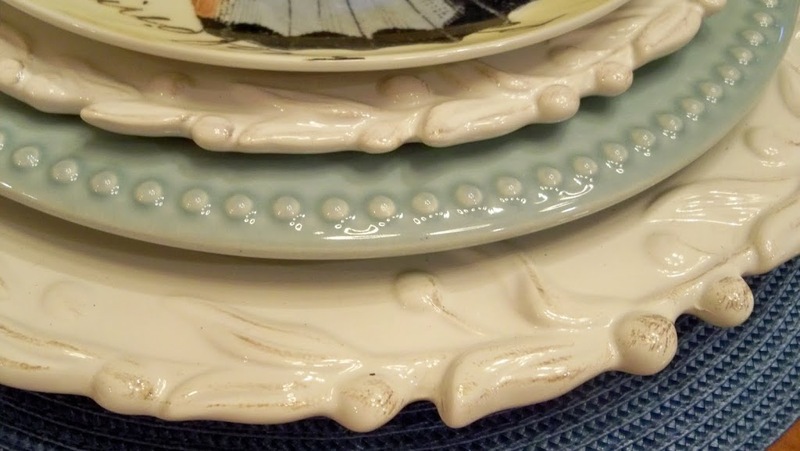 Love the layering of your pretty plates. I’m loving those paper leaves especially. Happy Birthday to your Charlotte — what a charming name I seldom hear anymore. Oh my! It’s 7:06 a.m. my time and I have just discovered you! Once I get the little one off to Kindergarten, I will brew up some pumpkin spice coffee and explore your world. I can’t wait! Welcome to the Ranch. Hope you have a wonderful birthday party! She is beautiful! Love all of your Charlotte dishes and especially that silver! What is the pattern name? That is the coolest silver I have ever seen. Love that! A cheerful and beautiful setting for lovely girl! What a gorgeous table setting. And so very sweet to collect all pieces ‘Charlotte’ – I find that so touching. Enjoy your time with your girl. Happy Birthday to your daughter,this tablescape is sooooo sweet.Love the Charlotte dishes,I’m feeled up with joy to the point of tears,thanks for sharing. Oh WOW! I am speechless..just wonderful and the accomopanying dialog was delightful..
What a beautiful birthday table for a lovely young woman! Everything is so pretty. Thank you for sharing! You definitely had more fun than doing laundry with this one. I’m going to have to find out more about the Charlotte dishes. happy birthday to your daughter my daughters birthday was monday. She is 5 years older. Your table setting is so lovely. What a wonderful way to celebrate. My little girl wanted her name to be Purple Dot or Purple Dawn instead of Jennifer Dawn and to this day she prefers any shade of lavender or purple. You have set a beautiful table in your daughters honor. I have a very similar set of dishes to your blue ones and seeing your blue plates it makes me wish I had the blue instead of the pink ones. First, may I say that each time I visit your blog, your blog name makes me smile. Happy birthday to your beautiful daughter. It is amazing how much they stay the same, even when they are all grown up. I love all your lovely touches on this table. I struggle using my blue Emma so am so happy to see what you did with it. Thank you for the inspiration! Love, love, love your table! Really lovely Linda! I love all the details! 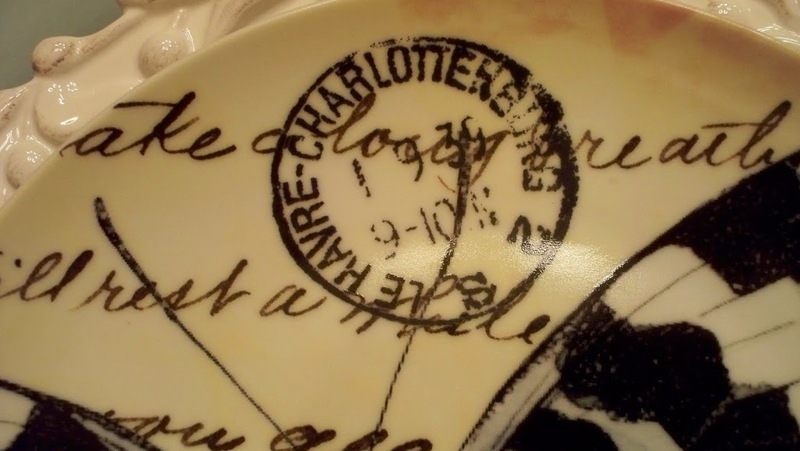 Love your Charlotte dishes! 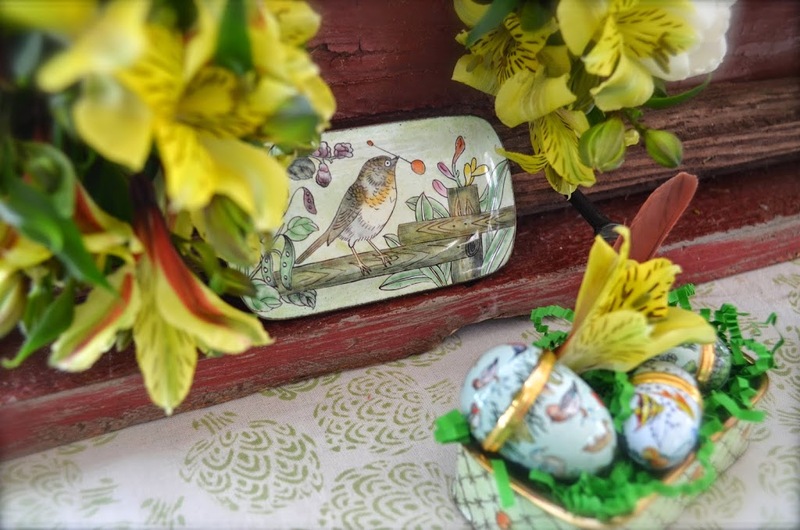 There is a transferware pattern named Charlotte too, it’s one of my best sellers! I love the flatware!!! So pretty and unique. Children grow so fast don’t they? Your daughter is so pretty. Just love your Charlotte dishes! What a pretty birthday table. I know your daughter appreciates what you did for her. Happy Birthday to your daughter. You set a beautiful table for her! Your table is lovely…happy birthday to your “little” girl. 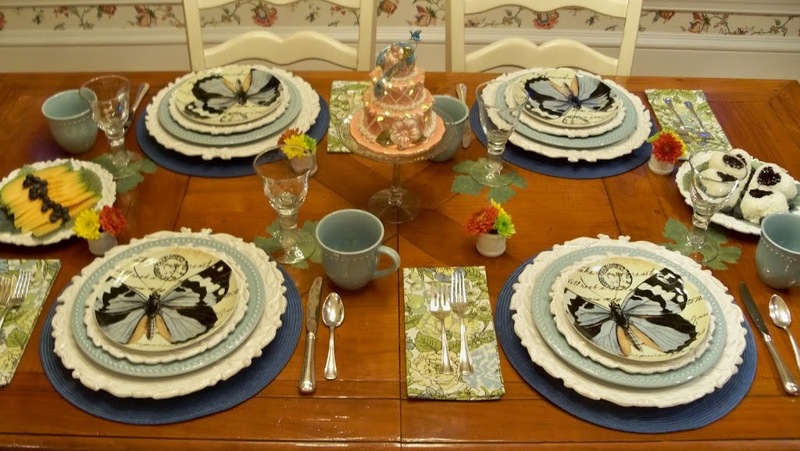 And those butterfly dishes are fantastic! Have a great weekend! What a beautiful family! A very Happy Birthday to your exquisite daughter. 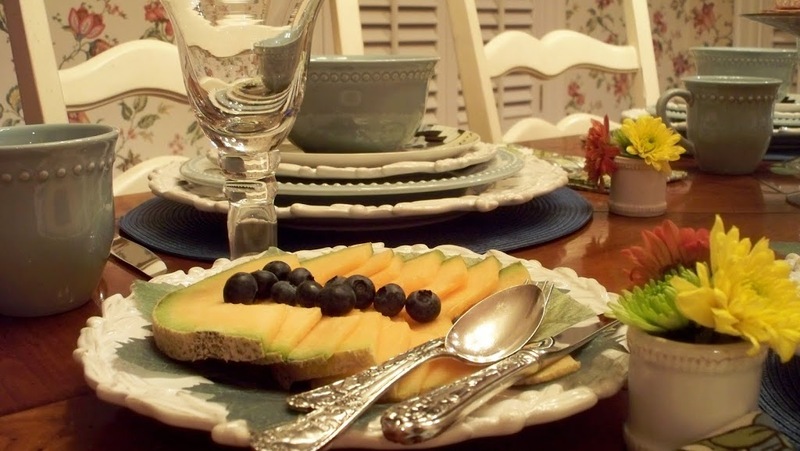 Your tablesetting and dishes are lovely and how sweet the silver pattern. This is definitely a table set for a celebration! Beautiful! Beautiful table and the menu sounds delicious. Linda oh your table is stunning for her! I know you all enjoyed this setting. Lovely! Happy birthday to your gorgeous daughter. Happy Fall & many blessings to you all! What a lovely birthday girl! I enjoyed the entire table and the china with all the different plates. BEAUTIFUL! photos! Have a happy party! That is a beautiful birthday table!!! What a fabulous birthday celebration you will have with your beloved Charlotte! She certainly is a beautiful young woman! 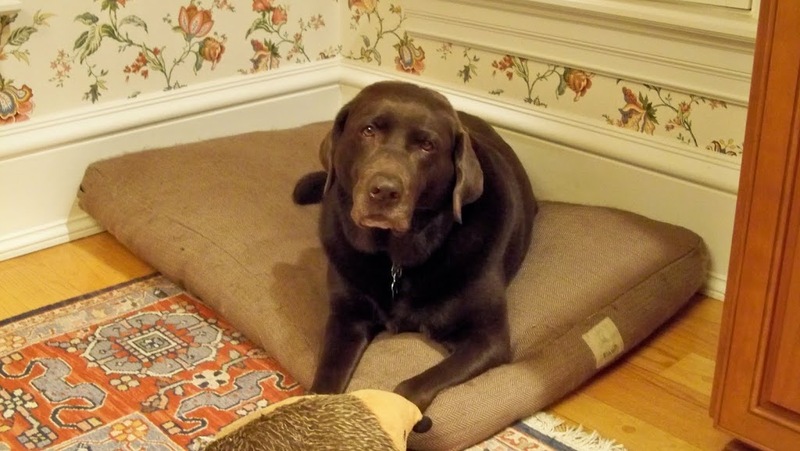 I hope that you extend to her…all of our sweet birthday well wishes! Your birthday celebration table is beautiful! 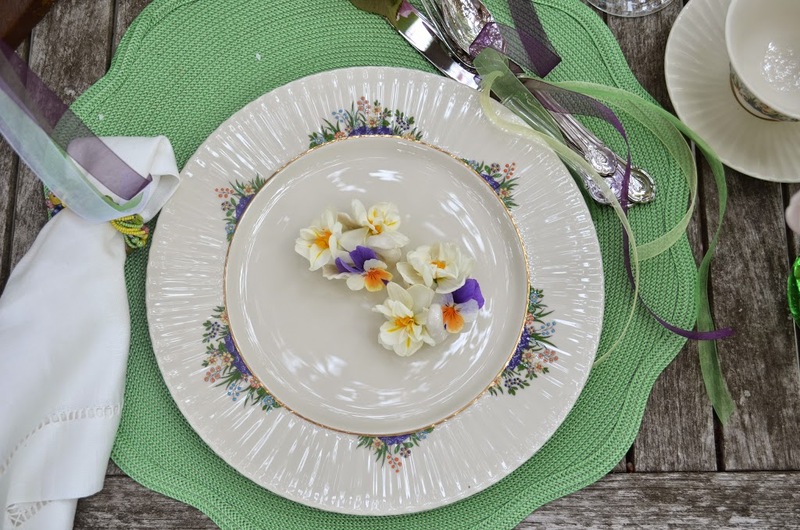 I love the Charlotte salad plates…so very pretty! I’m sure that your Charlotte will be elated! 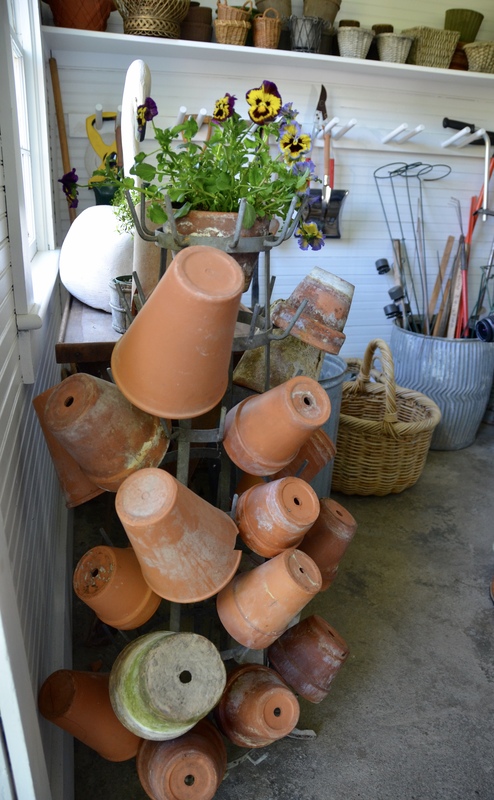 Thank you so much for coming by and taking a peek at my autumn decor, my friend! I always enjoy your visits and sweet notes! Wow!!! A beautiful tablescape. I just read your Edinburgh post. Oh my gosh. I will be going to scotland in June of 2011 and you have inspired me to purchase some goodies. Thank you for visiting My Cozy Corner and meeting you.